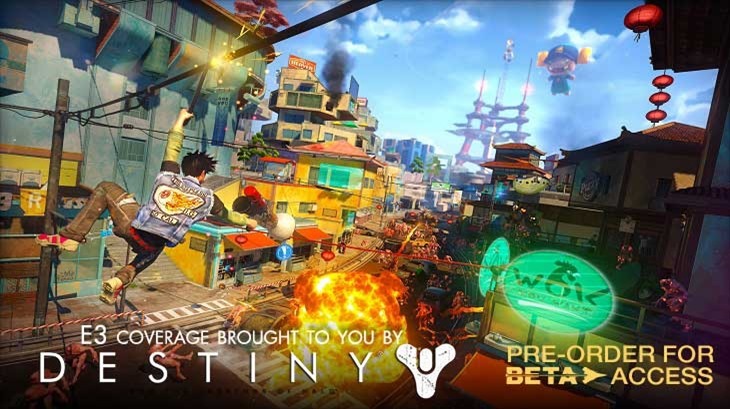 There’s an easy way to describe Sunset Overdrive if you were asked to do so. Imagine Tony Hawk’s Pro Skater 2, mixed with the unending hordes of Gears of War and some of that very same gameplay minus the need to cower behind a crate and you’d have an apt description. But it wouldn’t do the game justice to end it there. 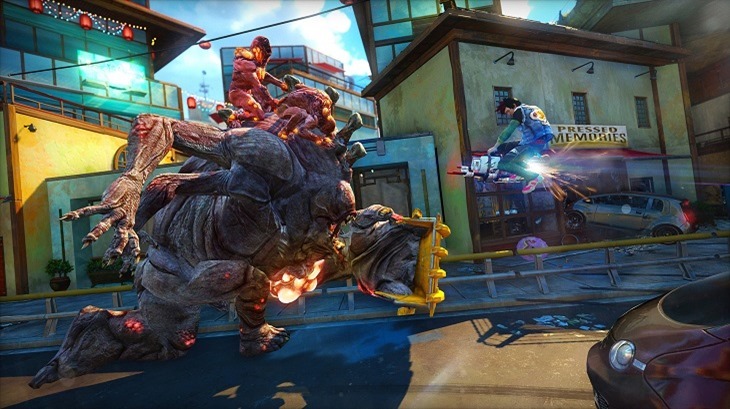 Sunset Overdrive is much more than that, thanks to a healthy dose of energy, anarchy and pure style. The game just oozes with chaotic graphic design, with onomatopoeia explosions being a common sight amidst the waves of enemies. I got a chance to sit down and try out some co-operative multiplayer on Sunset Overdrive, fending off wave after of wave of infected enemies who were after my energy drinks. And hot damn, it was fun. The easy way to play the game is to take your time and be prudent with your shots. The fun way however, is to toss strategy out the window and just start going at your own pace. Pretty much any straight line can be used as an impromptu grinding mechanism where your main character shreds wires and rooftops in order to move around the battlefield more easily. But it’s those bizarre and anarchistic automatic weapons which up the ante. You can fire off fireworks which explode into a colourful cavalcade of chaos. You’ve got electric harpoon guns to reel the beasties in. Ak-FU’s which belt out damage and insults. And with ammo on each gun being limited, the game forces you to swap between them instead of over-relying on a favourite. 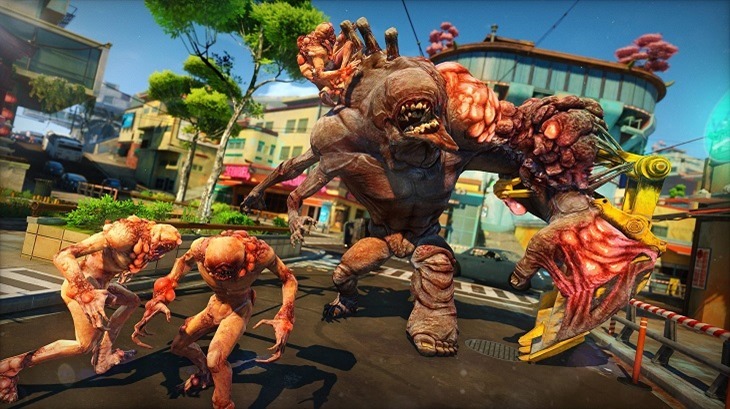 It was a short dose of Sunset Overdrive, but it was solid. The visuals looked fantastic and original the action was constant and the frame-rate never ever dipped once. After the paint by numbers approach that Insomniac Games took with Fuse last year, they’re finally back doing what they do best: Not listening to anyone and making the kind of game that they want to see people play.